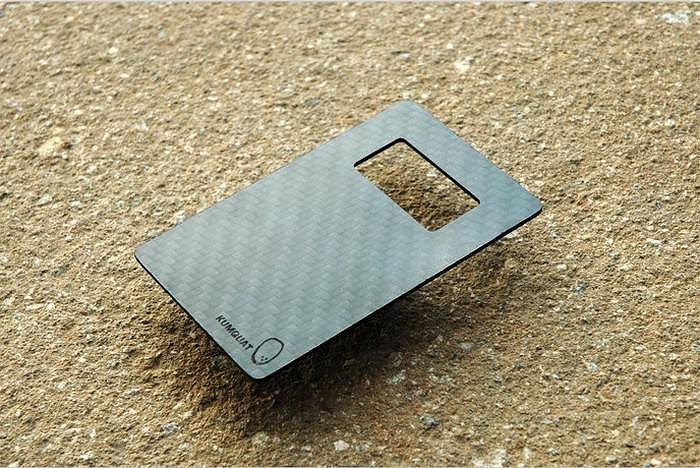 HomeBlogHome DecorLeverage Carbon Fiber Bottle Opener by Kumquat. 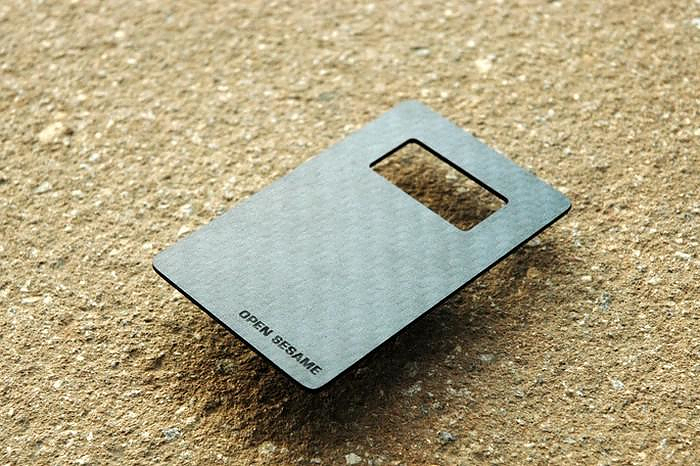 Leverage is a credit card sized bottle opener designed by Kumquat and made entirely out of carbon fiber. 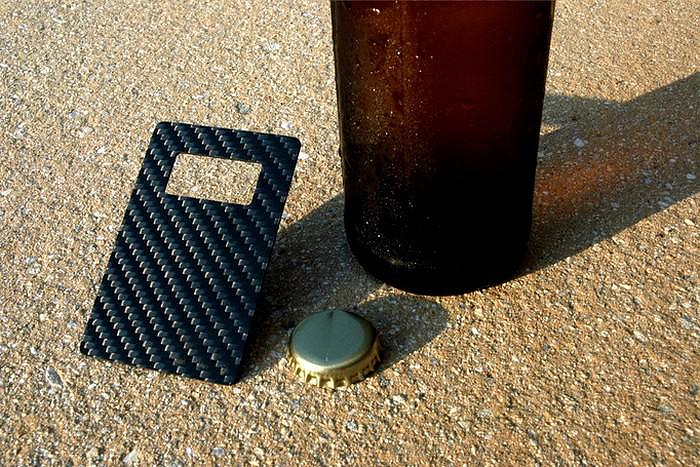 This allows the bottle opener to take advantage of the inherent strengths of carbon fiber, allowing for a super thin (.059″) and ultra-light weight (.3oz) design. 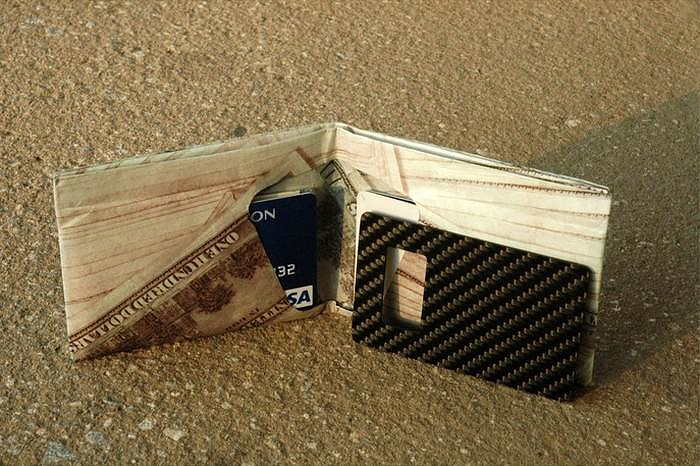 In this way you will have to think twice about carrying around. 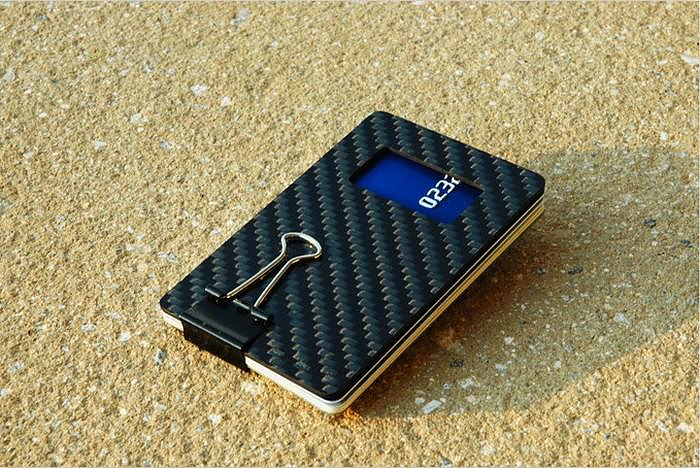 In other words… no more need to key-fob around. 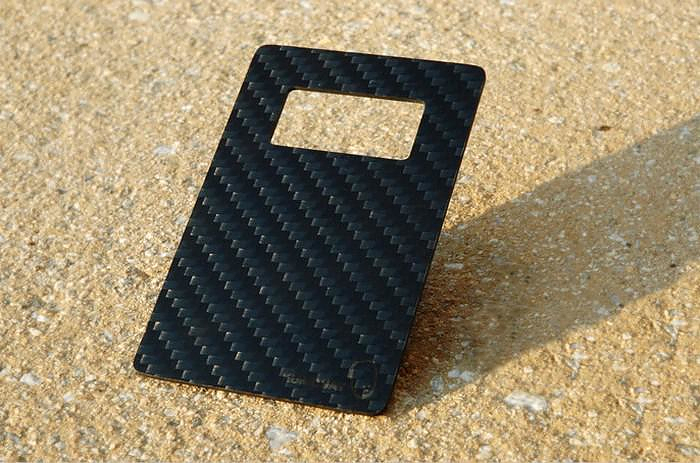 The dimensions of the Leverage carbon fiber bottle opener are the same as a credit card, meaning that it is in lockstep with your cards. 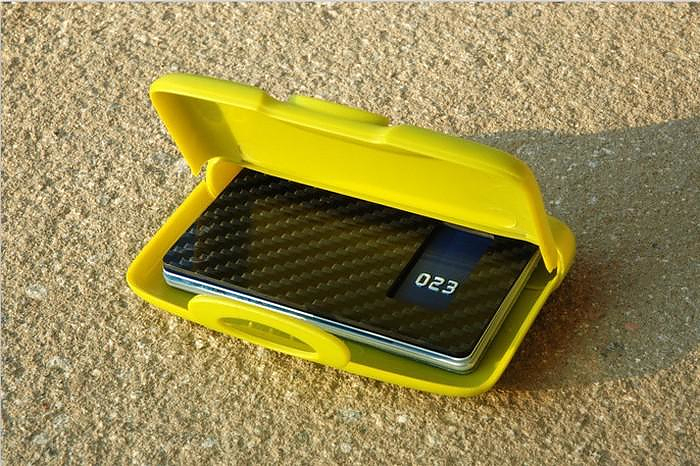 No matter how you choose to carry them be it clip, case, or wallet, leverage can fit together with them and never leave you without a bottle opener. 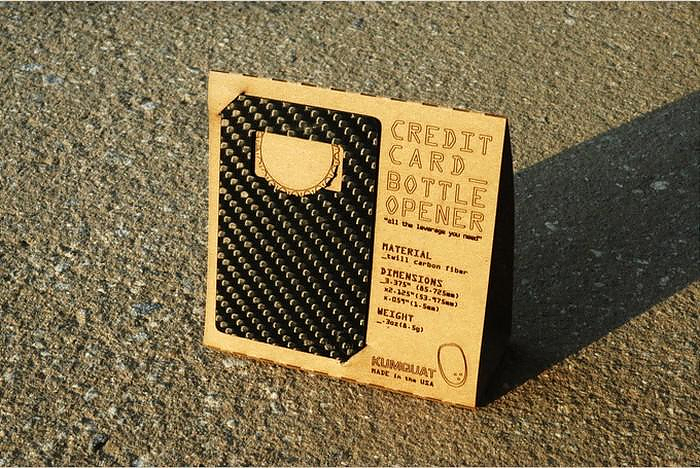 The Leverage bottle opener project was presented at the Kickstarter platform, with a big success. Kumquat is a small but intense collaboration of brothers, Gregory and Michael Spaw. With backgrounds in Architecture and Industrial Design respectively the duo has experience within Academia, Computer Visualization, Design + Build, Video Game Design, Glass Blowing, and the Special Effects Industry. Their most recent concern aspires to develop clever designs utilizing digital processes and fabrication techniques with production ultimately being executed via American micro-manufacturing.